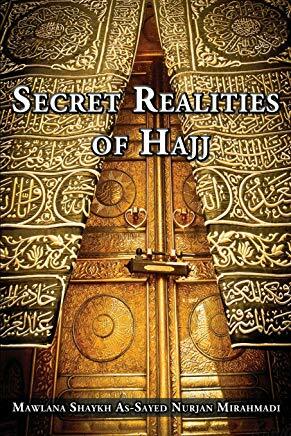 InshaAllah a reminder always for myself and from what we talked about last night, that all of the events of Hajj have a spiritual dimension and a physical dimension, both being important, both being the completion of faith. These are the symbols of faith and the Pillars of Islam. Means you cannot complete your Islam without performing the Hajj, understanding the Hajj. 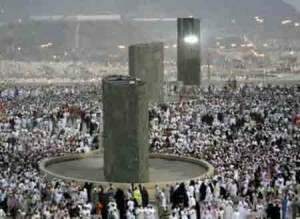 That Hajj now maybe unfortunately like a tourist event, that we buy tickets and they are very expensive tickets and expensive hotels. And you go through the rituals and you come home and as if you have completed something. InshaAllah ameen Allah Azza wa Jal grants based on intention, but there is something much deeper happening. That the events of Hajj has to do with understanding testing in life. That Allah Azza wa Jal describes in Holy Qur’an that you are not going to achieve faith, unless I test you like those who came before you with your life, your property, with your family, with your wealth, everything is on the table with Allah Azza wa Jal (Mighty and Majestic is He). Paradise is not cheap and free to get in, it requires a tremendous amount of sacrifice. If we look only to the pious people who came before us, the extent of the difficulty they had in their lives. And then for us it is a way of pondering that, to contemplate and ponder: Bismillah ar-Rahmaan, ar-Raheem. Ati ullaha wa ati ur Rasul wa ulel amri minkum. In this understanding of Sayyidina Ibrahim, Sayyida Hajar, Sayyidina Ismail alayhi ‘s-salaam, all of Hajj is based on that event. That the House that Sayyidina Ibrahim alayhi ‘s-salaam (peace be upon him) brought and built. After he put his wife Sayyida Hajar in the desert, she went seven times to bring the well of Zam Zam. Then as soon as the child grew up, ten, eleven or twelve years old, Sayyidina Ismail alayhi ‘s-salaam ordered by Allah Azza wa Jal to be sacrificed. We talked about this last night, but this is something deep in our lives that with tafakkur we begin to contemplate. Ati ullah in this understanding is Sayyidina Ismail alayhi ‘s-salaam, ati ur Rasol is Sayyida Hajar, wa Ulel amri minkum is Sayyidina Ibrahim alayhi ‘s-salaam. That teaching for us by example, this is from the great prophets of Allah Azza wa Jal, it is not a lowering of rank. 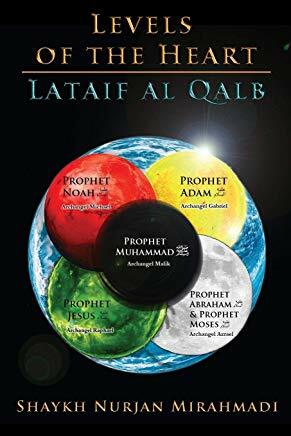 But teaching us that in the way of faith, that through the testing that Allah Azza wa Jal sends us through, a perfection is going to be born and how that relates to the 12th month and Sayyidina Mahdi alayhi ‘s-salaam. It means in Ulel Amr Sayyidina Ibrahim is teaching us: perfect your form, perfect your entire being. That Allah Azza wa Jal is going to test you, constantly test you with things you never imagined in life. So it means that whatever you did, Allah Azza wa Jal is going to ask for that and something much more. And that when testing comes don’t use your logic, don’t use your head. In this example Sayyidina Ibrahim alayhi ‘s-salaam is reminding that: I did everything for Allah (aj) and all I prayed for was awlad, “Grant me yaa Rabbi an inheritor, grant me a child from what You have given to me in life.” At a very old age, a child came to Sayyida Hajar who was the handmaid for Sayyida Sarah (alayhi ‘s-salaam). That, that child came and what Allah ordered? From everything that has been done in life, I want that one. Means Sayyidina Ibrahim comes into our life and begins to teach, that the Ulel Amr are going to perfect our form. They are going to perfect our understanding of how Allah Azza wa Jal is going to test us. They are not the one testing us. Allah Azza wa Jal is testing us. What they want for us and what Sayyidina Ibrahim alayhi ‘s-salaam wants for us, that he represents unimaginable stations but the nafsul mutmainna نفس المطمئنة “the self that is completely in surrendering”. So what Prophet sallallahu alayhi wa sallam wanted for us to make Salawat Ibrahimiyya; Allahumma salli ‘ala Sayidina Muhammadin wa ‘ala aali Sayidina Muhammad. Kama sallaita `ala Sayidina Ibrahima wa `ala ali Sayidina Ibrahim. Allahumma salli ‘ala Sayidina Muhammadin wa ‘ala aali Sayidina Muhammad. Kama sallaita `ala Ibrahima wa `ala ali Ibrahim, innaka hamidun majid. O Allah! Send Your Mercy on Muhammad and on the family of Muhammad, as You sent Your Mercy on Ibrahim and on the family of Ibrahim, for You are the Most Praise-worthy, the Most Glorious. Allahumma Barik ‘ala Muhammad wa ala ‘aali Muhammadin, kama Barakta ala Ibrahima wa ‘ala ‘aali Ibrahima, innaka Hamidun Majeed. That every time you praise upon Sayyidina Ibrahim alayhi ‘s-salaam, that he is going to be dressing us from that maqam, from that reality. That the testing Allah Azza wa Jal has put me through, is so significant that it is our Hajj. Our Hajj is not a tourist vacation with hotels and beautiful food. But Sayyidina Ibrahim comes into our life and inspires: I did everything and the only thing I didn’t think Allah (aj) would ask, He asked for that. 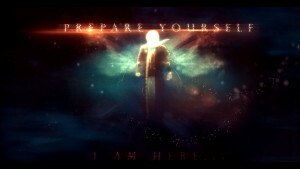 Prepare yourself that Allah Azza wa Jal is going to ask for everything. And they come into our lives that don’t use your logic in what Allah Azza wa Jal is ordering because your logic is going to say, “O maybe it is a joke…no I can’t…that is not going to happen.” Means he struggled with the amr (command) of Allah Azza wa Jal. That is why in this example Sayyidina Ismail alayhi ‘s-salaam is ati ullah. They come and perfect the form, perfect the form, submit, submit, submit, know that you are going to be tested. And then the amr of Allah Azza wa Jal comes and with the perfected form and with the perfected understanding, and the perfected practices, and that is why we follow the Sunnah. 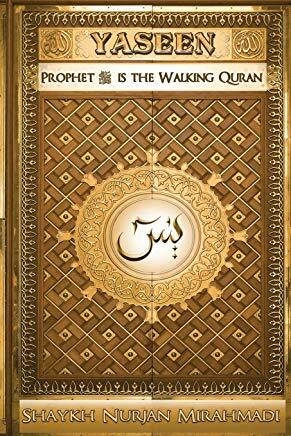 The Sunnah of the prophets means the way of the prophets alayhumus salaat wa salaam. He comes as an example that you follow the Sunnah of Sayyidina Muhammad sallallahu alayhi wa sallam, you follow the Sunnah of the prophets, you are going to perfect your form. If you perfect your form and you are understanding, your Islam begins to grow. 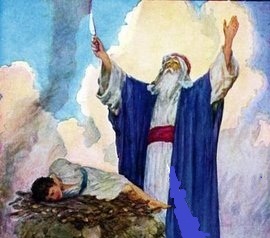 As soon as the order came he took the child, three times he had to wake up, sleep, wake up, as we talked last night, he took the child and began to head to the mountain for the sacrifice. Now Sayyida Hajar (Hagar) comes into our life and begins to teach that I represent ati ur Rasol and ati ur Rasol is the Maqam al-Iman (Faith). Because Islam was you had to listen to the amr of Allah Azza wa Jal. In our lives we don’t pick and choose that I will listen to this and I won’t listen to that, I will listen to this and I won’t listen to that. That is not going to be from ulel amr. 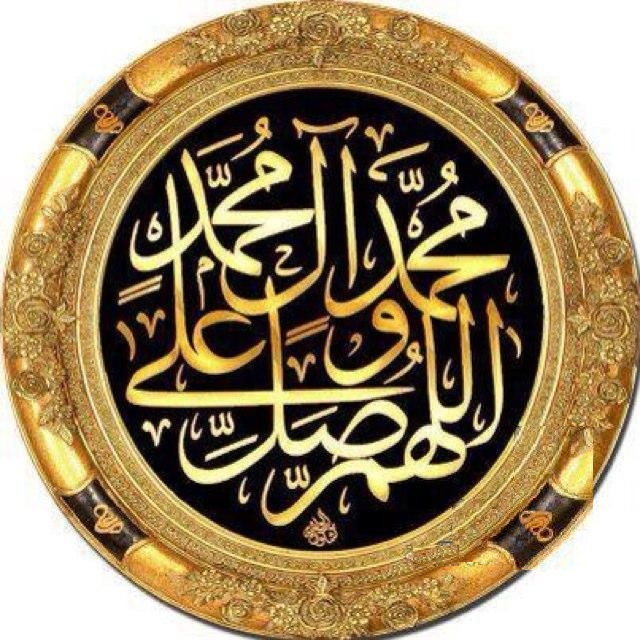 Because when we listen to ulul amr Allah Azza wa Jal dresses us from ulul amr because they are the people who obey, samina wa `ata`na, I heard and obey, and I am trying to reach tasleem (submission). Sayyida Hajar comes into our life and describes I represent faith. Faith because I listened to the prophet. So we have a direct example in our life of this event. This is Hajj. If we don’t understand what took place, we didn’t achieve what Allah wanted for us of faith. When we understand this and then we go labbayk allahumma labbayk and as we are walking and circumambulating and going on Safa and Marwa, we are remembering their lives and what they sacrificed. Yaa Rabbi make my form like Sayyidina Ibrahim alayhi ‘s-salaam to submit to You. On whatever You ask of me, yaa Rabbi put into my heart the ability to accept. Sayyidina Hajar comes into our lives and describes: I am the Station of Iman because I obeyed the Rasul. When Shaytan came to me, that is the second jamaraat. 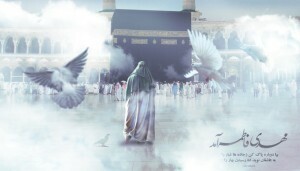 There are three jamaraats The first one is that let me to listen to You as Sayyidina Ibrahim listened to you yaa Rabbi. What You asked from me if my form is not accepting, no way am I going to have any faith. How you can have faith but your form is doing every crazy thing imaginable? So form has to come into obedience. 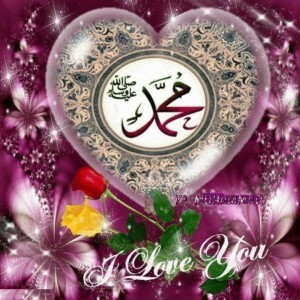 You are Lover of Prophet Muhammad (saws), Say it to Everyone….. Hold the Flag of the Prophet (saws) as you Go ahead…. Nara e Muhammadi! This is Maqam aI-Imaan. If this is what Sayyidina Muhammad sallallahu alayhi wa sallam wanted for us what could be more better? Put the turban, put your green cloth and begin to wave your flag. She represents the symbol of faith. Whatever it sounded like, I believed and I believed in the prophet alayhi ‘s-salaat as-salaam and I accomplished a tasleem and submission. It means the souls when it begins to open, it submits to Allah Azza wa Jal. The soul is not the renegade, the soul is not the one fighting, it is the body. When the test becomes heavy the body is in convulsion, it is going crazy that why is that test coming? The soul is tasleem, that whatever testing that body needs, the soul is accepting. Now comes Sayyidina Ismail alayhi ‘s-salaam. Why ati ullah for Sayyidina Ismail? Because he obeyed Allah’s order, no doubt. No need to repeat it, but as they are going up the hill for his father to begin to sacrifice him shaking. And he said, “InshaAllah don’t be worried, don’t be shaking, don’t be upset baba. InshaAllah you find me to be patient with what Allah Azza wa Jal has ordered.” So Sayyidina Ismail alayhis salaam in this example of Hajj, that everybody is going labbayk allahumma labbayk, labbayk allahumma labbayk; they say all of Hajj is Arafat. It means if we don’t understand the concept of why we are on Arafat, inshaAllah with intention the Hajj is complete, but it is not perfected. These are big maqaams, huge sacrifices. We pass it in a second as if it didn’t occur, we go for tourism and pictures. He is saying I obeyed Allah Azza wa Jal, I am the symbol of the Maqaam al-Ihsaan and perfection. That with that level of perfection and love, that now Sayyidina Ibrahim begins to inspire within the heart, it was all love. That my body loved Allah, and my soul loved me, my wife loved me, my soul loved me, trusted in me. This is my personal relationship of my self, my body, my soul and the station of perfection that will come out. That the love entered into the body, the love entered deep into the soul, that it tasleem and submitted. Whatever the body is ordering I am submitting, who cares. We go this way, we go that way, we go of the cliff, it doesn’t matter. And the perfection of that is the Maqaam al-Ihsaan that came out and completely in love. That love gives the firmness of faith. When you love Sayyidina Muhammad sallallahu alayhi wa sallam and you love the ulul amr, the light of their love enters into the heart, that gives a firmness that your feet can never be moved off of faith. No love, like a flower on a rock, with the first wind it blows. 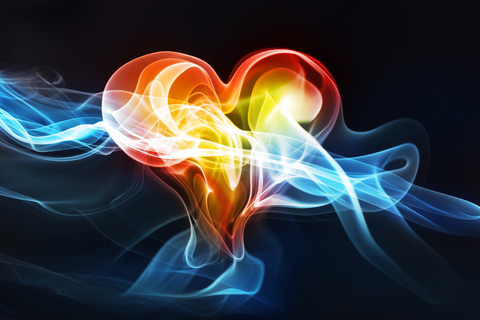 That love when it enters into the heart, the deep recesses of the love will begin to clarify for the body. Means when I love awliyaullah, when I love ulul amr, when I am in love with Sayyidina Muhammad sallallahu alayhi wa sallam, as soon as I am making wrong choices what is going to save me? If my love was here (Shaykh points to the head), nothing! That is why you see people make crazy choices and they are gone doing things that you couldn’t imagine they were doing. But when the love is firm, Sayyidina Ibrahim showing that no, no, that little child inside you that is Maqaam al-Ihsaan, is going to teach you: be consistent, don’t disobey Allah Azza wa Jal right now, you are being tested, be careful.It gave a calmness to Sayyidina Ibrahim, that it can be accomplished, don’t use your mind, Allah Azza wa Jal is great. And in the end a ransom was given. Allah didn’t want to destroy your life, He didn’t want to destroy anyone’s life. Allah Azza wa Jal is not vengeful but Allah Azza wa Jal is great, Allahu Akbar, Allahu Akbar! But you put it, because when you put it on the table, Allah Azza wa Jal begins to show you you are worshiping that. That which you are listening to, is what you are worshiping. That worshiping, that desire, that want, that is stopping you from listening to Me and reaching your perfection and reaching the reality of the soul to come out. Allah Azza wa Jal says: that is what is blocking your perfected faith. That is why Hajj is the symbol of imaan. Sayyidina Ibrahim is reminding for us that everything is going to be based of of love. That love that grows will be the perfection and safety for you. Your inner reality will remind you, you are going of course, bring your self back and put the firmness of your feet back. It means nara e Muhammadi (shaykh sings naat/qaseeda). You don’t think the love of Sayyidina Muhammad inside our heart is saving us every moment? That: “O you love me? I love you more qadeem (ancient).” That green that you put upon your head was from my permission, Sayyidina Muhammad sallallahu alayhi wa sallam inspiring. If we didn’t have permission there was no way to put that. That your love for me is nice, but my love for you is more ancient. That my love and salawaat upon you bringing you into the station that you are. Feekum Rasol. Feekum Rasol means that “I am inside of you”, fighting and struggling everyday for you, that your faith grows and your love grows. That don’t listen to Shaytan but listen to Rahmaan and bring out your reality. Why Allah (aj) Wants to Test Us? So ‘Arafat is based on Sayyidina Ismail alayhi ‘s-salaam and the Maqaam al Ihsaan and perfection. And Sayyidina Mahdi alayhi ‘s-salaam is known for coming during Hajj. Means it represents the understanding of testing in our life, that tests are going to come into our lives. When we believe in the test, it is not for us to judge, because now the Muhammadan representatives come. That was for Sayyidina Ibrahim alahyis salaam, the pinnacle of Maqaam al-Ihsaan was for Sayyidina Ismail alayhi ‘s-salaam. From that shajarah, from that tree, is the line of Sayyidina Muhammad sallallahu alayhi wa sallam. Means from Maqam al-Ihsaan is the Light of Prophet sallallahu alayhi wa sallam coming. It didn’t come from the other prophets, it came from Sayyidina Ismail alayhi ‘s-salaam. From Maqaam al-Ihsaan, coming and teaching, then our way is completely based on this testing. Allah is going to test you, call for everything from you, put it on the table and never lose hope and despair in Allah Azza wa Jal. Allah Azza wa Jal just wants to test you and show you what is it that you really worship? What are the inner recesses of your desires? Put them out so that you can understand and that becomes the understanding of testing. But our whole life is based on that testing. Sayyidina Mahdi alayhi ‘s-salaam is that reality, prepare your lives for his arrival. Prepare your lives for the days of difficulty around us, don’t use your aql and your mind to say, “No, it’s far away,” you failed that test! What they want for us is to pass the test. When you believe and you believe and you believe in all of their testing, dunya leaves your heart. How dunya can be in the heart if Sayyidina Ibrahim when whatever he loved, even he thought the awlad was his last desire in life, Allah Azza wa Jal even took that away. There is no more of dunya in the heart. Sayyida Hajar no more dunya in the heart, all she loved was her husband and her child, and she put it on the table. And Sayyidina Ismail representing, I put myself on the table for Allah Azza wa Jal. They teach us that is the way to cut the dunya, to cut the material desire, to cut the body from what is blocking of the greatness of what Allah Azza wa Jal has dressed upon the soul. So the tests that come is not meant to be through your head. Where you say, “This is the day of disaster, no this is not the day of disaster. Sayyidina Mahdi alayhi ‘s-salaam is not coming, he’s coming five-hundred years from now.” No, what they want you to believe like the Companions believed: he is coming tomorrow, are you prepared? They believed with such firasat, with such a ya’qeen (certainty) that they were convinced that it is happening tomorrow. Why? because they began to see the event through their spiritual vision. What is important is when the desires are all crushed, what’s left is faith. Faith is a Noor, is a light. That Light within the heart, you begin to see them. And you don’t need the end of world to come, you close your eyes, you are with them. 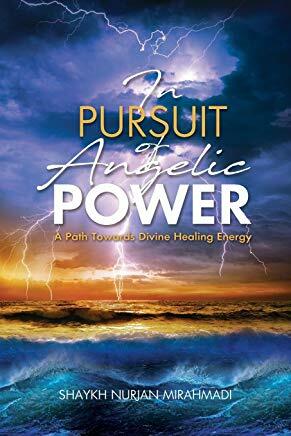 Everything they talked about, through your heart you will be witnessing, because your attachment to the material world is going, going, going, gone. If the ulul amr or ulama (scholars) are not teaching that, the desires keep growing and growing and as it is grows it blackens the heart and blocks the veil of the heart. We pray that in this month, so many events around the world are everywhere that yaa Rabbi prepare us for the arrival of Sayyidina `Isa alayhi ‘s-salaam’s return, prepare us for the arrival of Sayyidina Mahdi alayhi ‘s-salaam’s return. And let us to reach Islam, Imaan, wal Maqaam al Ihsaan.